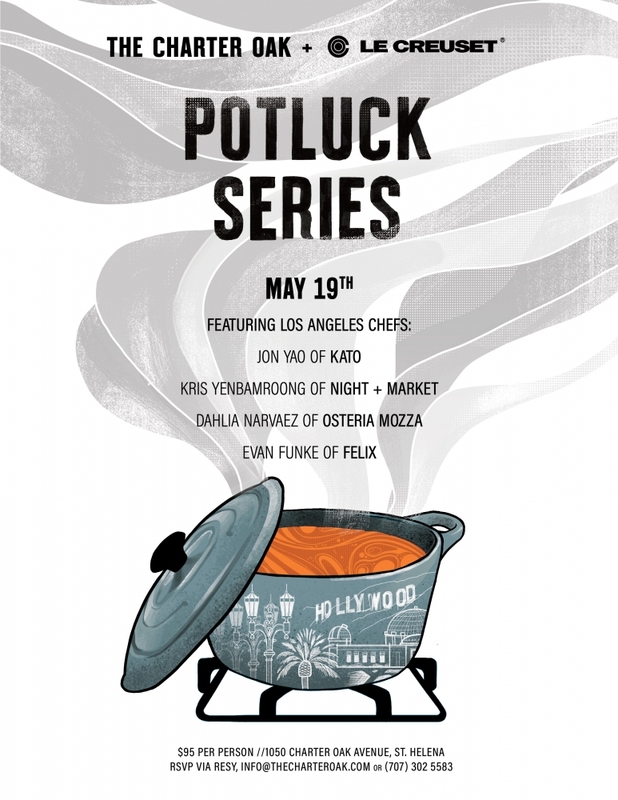 Join us at The Charter Oak as we welcome guest chefs from Los Angeles for a celebratory Potluck Dinner. This dinner series in partnership with Le Creuset benefits St. Helena Preschool For All, a local non-profit providing scholarships to 3 and 4 year-olds in need.  Seats are $95 per person and can be reserved on RESY, by emailing info@thecharteroak.com or by calling (707) 302.5583. Jon Yao of Kato, awarded "Best New Chef" from Food & Wine Magazine in 2018, nominated for "Rising Star" in 2019 by the James Beard Foundation. 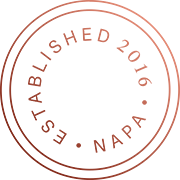 Evan Funke of Felix, named "Best New Restaurant" in 2017 by Eater LA, nominated for "Best New Restaurant" in 2018 by the James Beard Foundation. Kris Yenbamroong of Night + Market, named "Best New Chef" in 2016 by Food & Wine Magazine, nominated for "Best Chef: West" by the James Beard Foundation in 2019, featured numerous times on Jonathan Gold's list of 101 Best Restaurants in the Los Angeles Times. Dahlia Narvaez of Mozza, awarded "Best Pastry Chef" in 2016 by the James Beard Foundation.